The new challenges you face in business or in life are a big deal. Bigger than most people think. New challenges are a gift —they’re the growth opportunities that will fuel you to the next level of success or fulfillment—IF you don’t let fear keep you from taking full advantage of them. 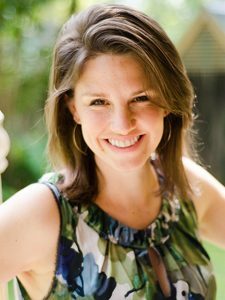 My guest on this episode of the podcast is Emily White, of Emily White Designs. Her journey from low-budget website builder to high-end website designer has taught her one thing: If she doesn’t know how to do what is required for the next design client in line, she can and will figure it out. I love that way of thinking. 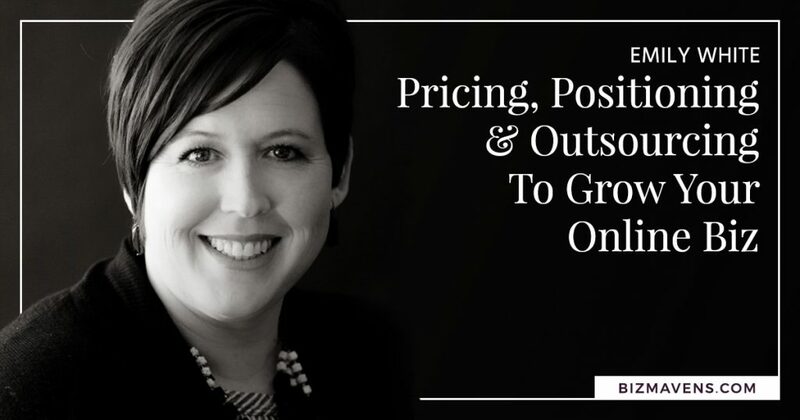 Listen in as Emily and I discuss her lessons-learned about pricing services or products when you’re just starting out, how to position yourself as a professional and not a commodity (and why you should), how to avoid becoming a one-hit-wonder, and how shifting to a value-based pricing mindset changed everything for her. This is a far-reaching conversation that you’ll gain lots of insight from. One word of caution: Don’t let the fact that you are not a designer cause you to skip this episode. We talk about many mindsets and business strategies that translate into any niche, service, or product offering. You’ll be missing out if you don’t take the time to hear Emily’s lessons-learned. One of the things I noticed in Emily’s story was that as she proved herself on smaller client jobs, she received requests to complete bigger and more challenging projects. Even though she didn’t have the skills or knowledge to take them on at first, she accepted the jobs anyway and learned what was needed to get them done. It’s kind of like jumping in the deep end of the pool in order to learn how to swim. But it worked. Emily’s approach demonstrates that all of us are capable of learning, growing, and becoming the professionals we aspire to be. But only if we don’t let the new challenges scare us away or cause us to back down into our comfortable, smaller box. I want you to break out of the box, and I’m confident Emily’s story will help you do that! Not all new challenges are possible to achieve. What should you do then? None of us is able to learn anything and everything. Limitations are normal, but they don’t have to be limiting. Do you understand what I mean by that? Here’s a perfect example: When Emily was offered a web design job that required work that only a developer could do, she didn’t have the skills to do it herself – and she was busy enough that it wasn’t the best use of her time to try to learn those skills. What did she do? She hired a developer even though the overall scope of the project and the task of managing a developer was intimidating. Did it work out? Amazingly.